The hot dogs have all been eaten and the blazing hot sun is finally setting. 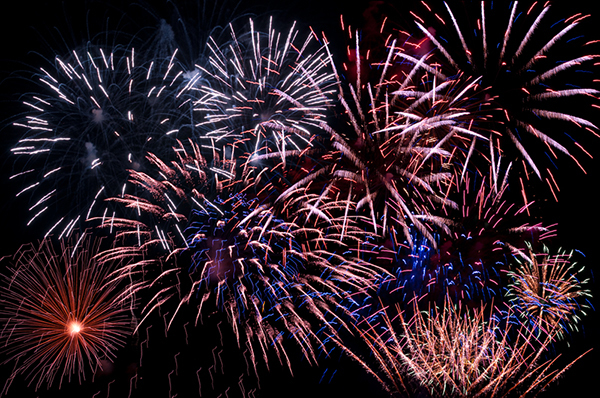 Time to grab your blanket and head out to your community 4th of July fireworks display. 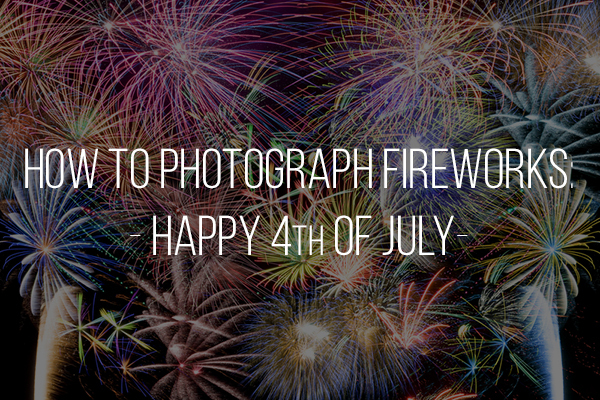 This year instead of coming back with just fond memories, grab your camera and follow these simple tips to photograph fireworks as well. 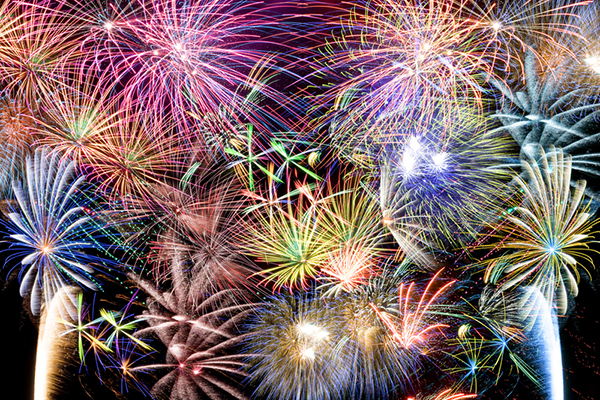 If you’re using a smart phone or a point and shoot camera, use the fireworks setting and click away. You’ll probably come back with a few decent shots. But if you want stunning images, grab the DSRL and a sturdy tripod. You’ll also want to grab remote shutter release or plan on using the timer function to avoid camera shake ruining your photos. Choose your background wisely as it will have a great impact on the resulting images. Find a vantage point that gives you something to see in the background or foreground. 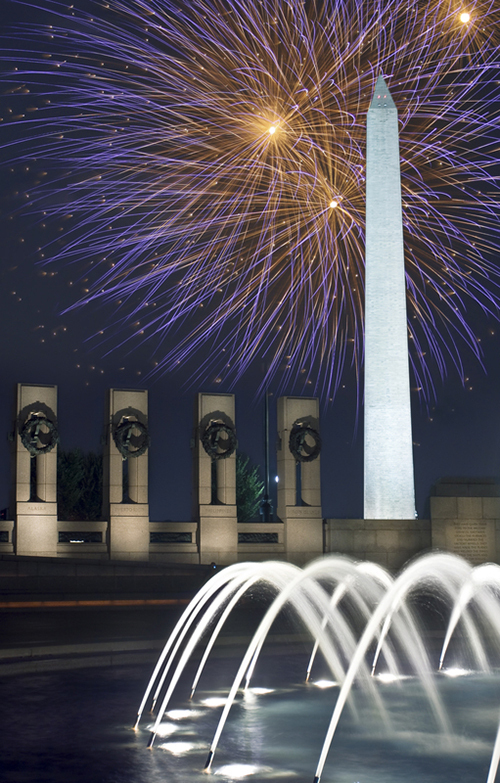 Look for spots that offer unobstructed views of local icons where the fireworks display will be featured. Beautiful exploding fireworks are nice, but beautiful exploding fireworks highlighting iconic landmarks are breathtaking. Depending on your night focusing skills, you might want to use the waning light to focus and then switch to manual for the nighttime show. 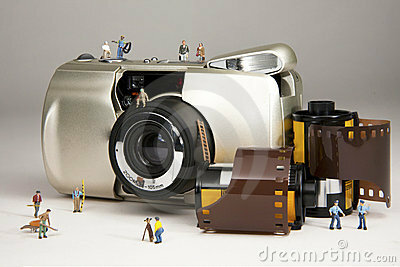 Set the correct exposure by metering for the background. Be sure to stop down to keep the sky darkened for the fabulous bursts of light to come. Set ISO at 100 to reduce noise, and take a few sample shots before the pyrotechnics starts to help you hone in on the parameters to use. Then you’ll have a couple of decisions to make. Using long exposures will enable you to grab several burst into one frame, but it will also show the streaks and smoke associated with each burst. One trick is to shoot in bulb, cover the lens with a piece of black construction paper, and quickly uncover when individual explosions occurs – doing this multiple times to achieve a beautiful composite. Or you can shoot with quicker shutter speeds, and time your release using the sound to anticipate the perfect moment for a single shot – leaving single bursts per image – which you can blend in post for effect. The weather is an area where you have no control. Unfortunately, July 4th is usually one of those muggy, hot, humid days. This will mean that the smoke from the show will probably hang over the area after the first couple of explosions. Not too much can be done about that except to grab your shots early and sit back to enjoy the rest of the show after it gets too smoky. Once you get home and look at the images, don’t despair if they aren’t exactly what you were hoping for. Shooting fireworks takes practice and a little luck. Steel yourself knowing you will always be able to try again next year – and worst case, there’s always Photoshop! 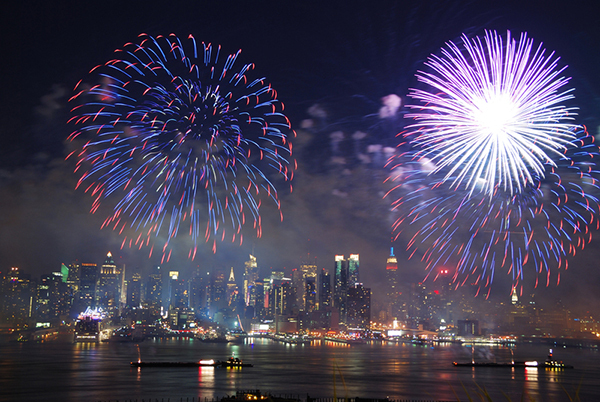 Make sure to check out our amazing collection of 50 sparkling firework photos!